Ah… the weekend cottage! Leave your cares at home and come to the lake or cabin to relax. Fishing, canoeing, beaches, campfires, family fun are all yours at your own private retreat from the outside world. 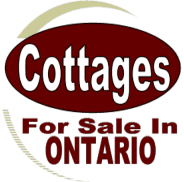 Looking to buy or sell your cottage or vacation property in Ontario? Feel free to browse through the listings and contact us to add yours!! We have been helping Buyer and Sellers since 1991! NEW!! If you would like to see our listings on your FaceBook account click the like button below and you will see them FIRST! Enter your email address to subscribe to this site and receive notifications of new properties by email. Kenora, Lake of the Woods, Dryden, Sioux lookout Thunder Bay, Red Lake, Marathon, Geraldton, Nipigon and area cottages and cabins for sale! Cottages in North Bay, Temagami, Lake Nipissing, Sudbury Sault Ste. Marie, Wawa, Chapleau Timmins, Kirkland lake Cochrane, New Liskeard and area. Toronto, Ottawa, Muskoka, Barrie, Kawartha’s, Pembroke, Parry Sound, Lake Erie, Lake Ontario Lake Huron and area propertys for sale.